BANGKOK, Thailand, Feb. 7, 2019 /PRNewswire/ — Under its Thailand 4.0 vision, Thailand plans to leverage on its reputation and excellence in medical services and medical devices and strengthen its position as the regional medical hub. 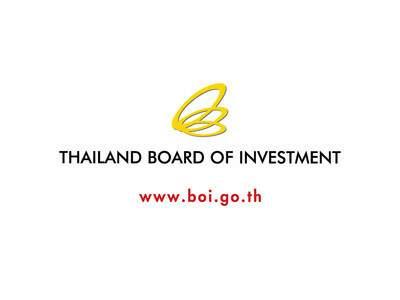 To promote medical robotics, Thailand Board of Investment (BOI) has offered a wide range of investment promotion incentives including the medical robots. Investment incentives vary because medical robotics is related to three targeted activities – manufacture of automation machinery/equipment with engineering design, assembling of robots or automation equipment/parts, and manufacture of high-risk or high-technology medical devices. The maximum corporate income tax (CIT) exemption is 8 years for both manufacture of automation machinery/equipment with engineering design, and the manufacture of high-risk or high-technology medical devices. However, the CIT exemption for the assembling of robots or automation equipment/parts is 5 years. According to BOI, surgery-assist robots, therapeutic robots, patient care robots and the like are considered as medical devices because they have clear medical treatment functions. Apart from BOI, many public and private organizations have been working closely together to drive medical innovation. The Ministry of Science and Technology, Ministry of Public Health and Ministry of Education have jointly set up a committee with a key responsibility to promote medical and health related innovations. More importantly, being a targeted future industry, the robotics industry has received full supports from the government. Many public organizations were established to promote research and development as well as human resources training. Thailand is making good progress in the development and use of robotics in the field of medicine and promoting investment in robotics technology, including medical robots. Medical robots have been used and promoted in Thailand in many areas, including surgery, diagnosis, rehabilitation and services. In surgery, robotics and innovations are gaining ground, especially in complicated surgery. Back in 2017, Ramathibodi Hospital, a leading government hospital in Bangkok and a reputable medical school, successfully performed the first robot-assisted brain surgery in Asia. Today, robot-assisted surgery has been adopted in many hospitals for different operation like spine, heart, eyes, intestine, and gynaecologic surgery. For rehabilitation and therapy, robots have played more important roles in assisting patients with lost limb movements and in therapy. SensibleTAB and SensibleSTEP, for example, was developed by a local company to help patients with arm and leg injury perform practiced movements aided by the robots. SensibleSTEP, a robot for rehabilitative gait training, is the winner of i-MEDBOT Innovation Contest held by Thailand Center of Excellence for Life Sciences (TCELS). With local production, the cost of such robot development is relatively low compared to the imported ones. This means more opportunity for patients to have access to robotic therapy. In addition, the inventor of SensibleSTEP is seeking certification from Thailand’s Food and Drug Administration and plans to apply for CE Mark (European Conformity) in order to increase opportunity to market in CLMV, Europe and other markets. In terms of services, medical service robots are increasing in demand. In addition to the well-known Dinsow, elderly care robot, and BUMBEE medical dispenser robot, medical robotics have been used in more areas. ROBODOCTOR, for example, is a remote presence system being used in a number of hospitals, allowing specialist doctors in hub hospitals to assist doctors in remote hospitals in diagnosing and treating patients with complicated conditions, such as stroke. The result is faster and more efficient diagnosis and treatment. In addition to robotics, Artificial Intelligence (AI) has played more important role in research and development (R&D) and in assisting doctors in performing complicated surgery. With the momentum going high in the medical robotics area and strong support by several government agencies, led by BOI, the future for medical robotics is bright.